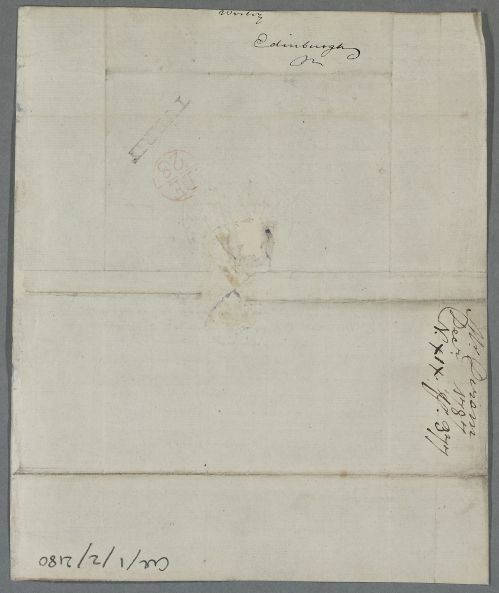 Letter from Alexander Dirom, giving a prescription from his new doctor, which Cullen considers improper (Doc [ID:5589]). As he refers to his 'present Country doctor', and the handstamp is for Turriff, he seems to be writing from his country home at Muiresk, rather than his Banff town address. 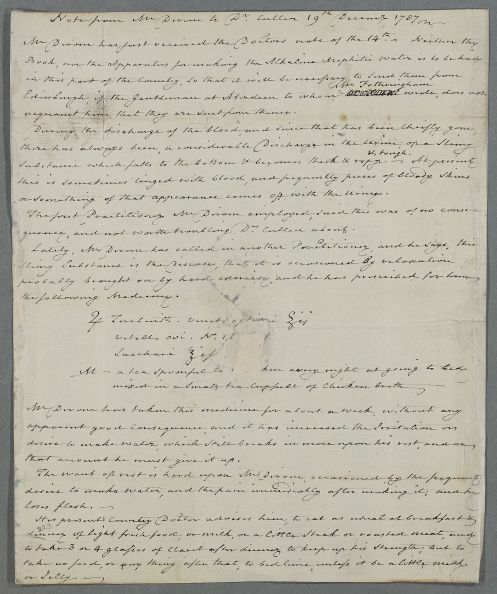 Summary Letter from Alexander Dirom, giving a prescription from his new doctor, which Cullen considers improper (Doc [ID:5589]). As he refers to his 'present Country doctor', and the handstamp is for Turriff, he seems to be writing from his country home at Muiresk, rather than his Banff town address. acquaint him that they are sent from thence. or something of that appearance comes off with the urine. quence, and not worth troubling Dr. Cullen about. that account he must give it up.